I couldn't write about a Marchesa collection and not write about Marchesa Notte. Marchesa Notte is a more approachable and inexpensive collection by Georgina Chapman and Keren Craig for the Marchesa brand. The dresses are described as more of a collection that presents cocktail gowns, which are a bit less formal than that from the Marchesa collection. Although, there were a few numbers incorporated into this collection that are more than certainly, red carpet ready. By all means, these dresses are still pretty expensive and equally luxurious, ranging from around $800 - $1000 plus. Which are, significantly a lower price than the Marchesa collection designs. I really loved this collection, I thought the pieces were incredibly designed and created. I didn't really know what to expect from a Marchesa sister line, as the Marchesa collections are of such a high standard but this collection was executed impeccably. Even though there were limited looks presented within the collection, the colours were far from it. Bold Fuchsias, a beautiful yellow and of course royal blues. A particular favourite of mine was the simple, cowled backed dress. It was effortlessly beautiful. The A-line sillouhettes of some of the cocktail dresses gave us a luxurious and modern feel. The contrast piece of the floral embroidered top teamed with a fuchsia skirt which was flared and rose just the right amount at the front gave us fun and sophistication. Teamed with black lace up heels, the complete look was stylish and feminine. 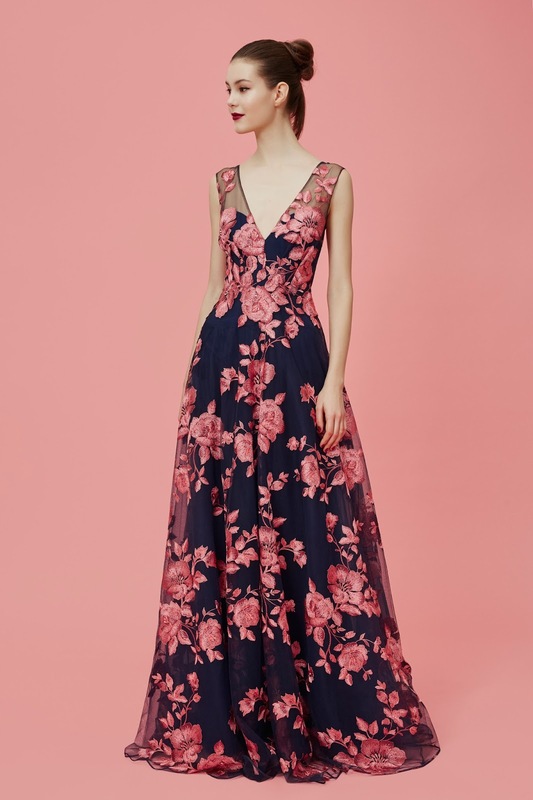 The collection gave me Marchesa but at a toned down level, it really did complement the Marchesa Pre-Fall collection very well and I cannot wait to see next season's line.